Hold together your stationery with these stylish and ethereal semi-transparent bands. 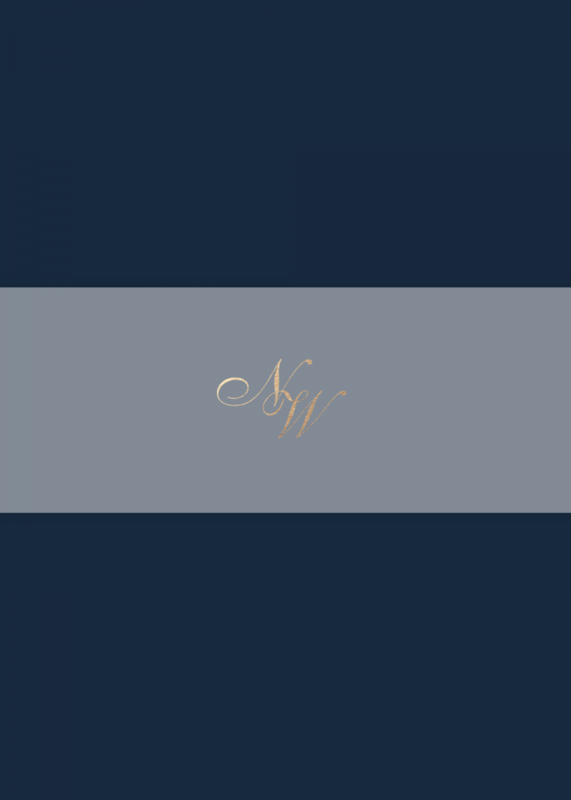 Made from high quality translucent vellum paper and hand pressed with a personalised foil monogram. 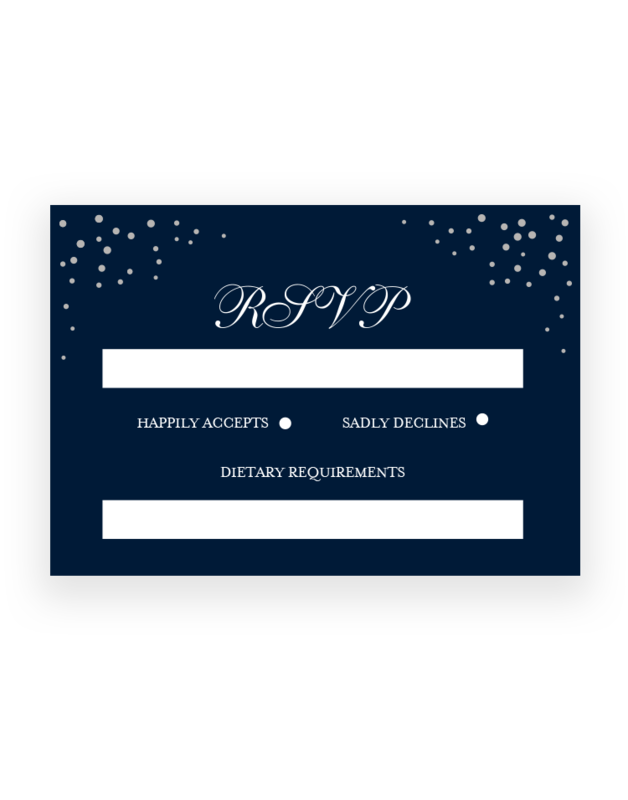 I need day and evening invitations, how does that work? 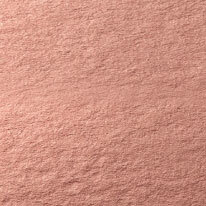 An extensive range of additional colours are available. If you are looking for something unique or specific please contact us. All our card is a premium quality 350gsm. You can order samples here. 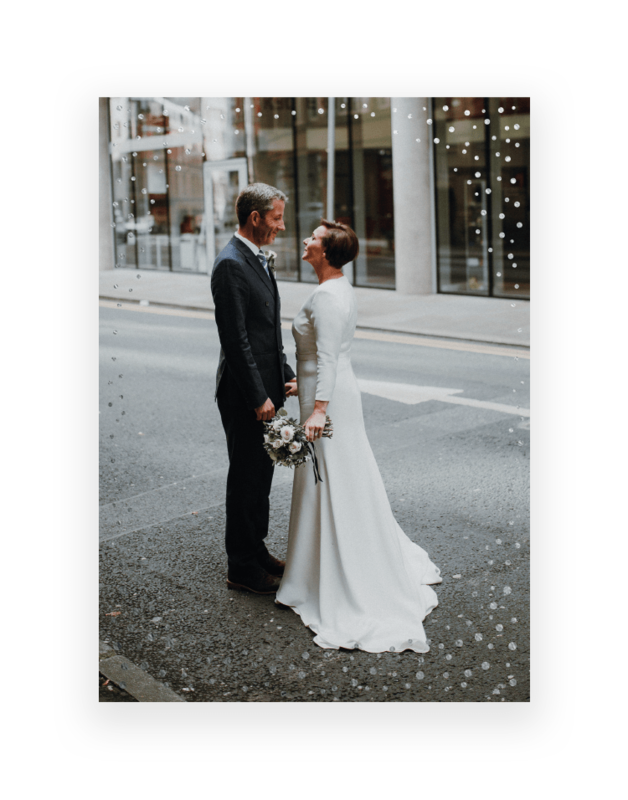 Choose from our premium quality 350gsm card colours or select silk finish Save the Date magnets. 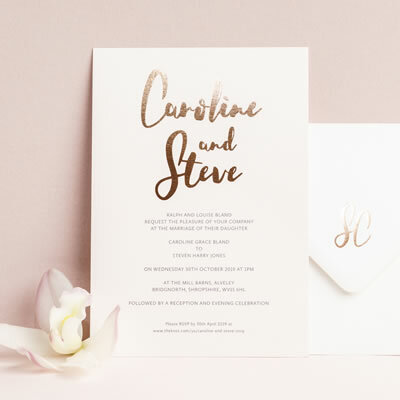 There is no additional charge to provide two versions of your invitations. Simply order the total number you require, provide two versions of your wording and let us know the quantity you need of each. 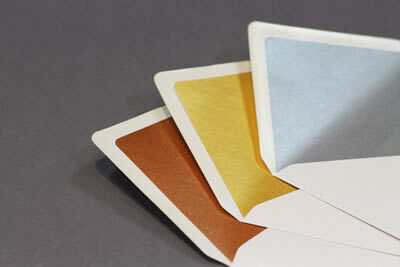 Highlight your names in your chosen foil colour for an extra £75. 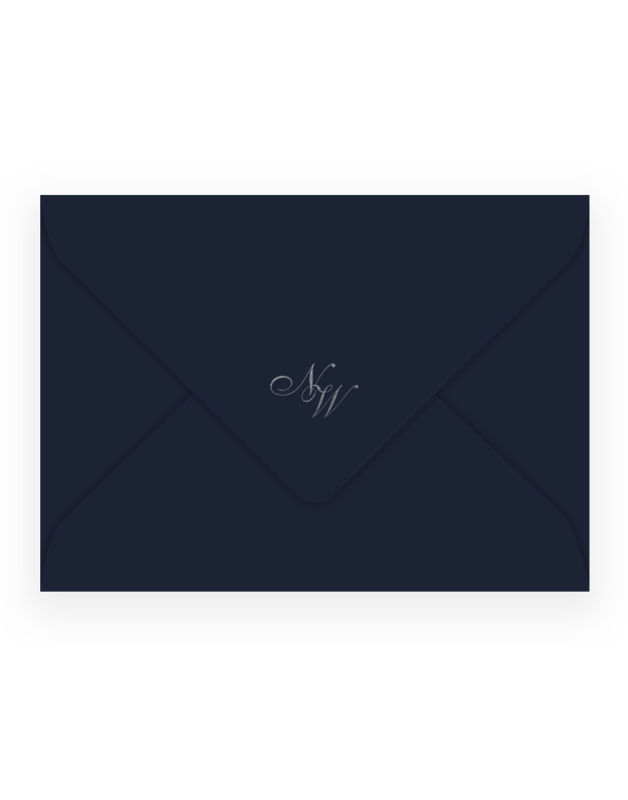 Our envelopes are gummed with a diamond flap. 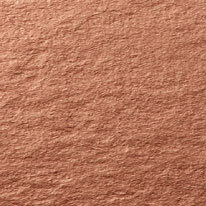 Add shimmering metallic liners inside your envelopes for the perfect finishing touch. 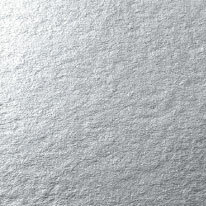 Liners and envelopes are sold and supplied separately for self-assembly. 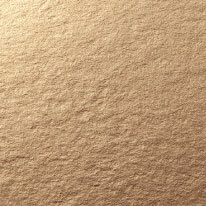 Our standard format is a single A5 folded card. 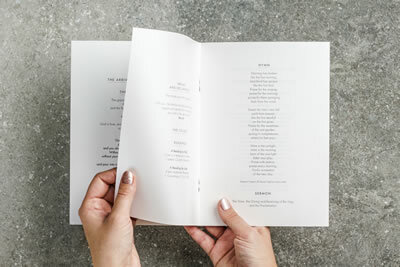 We can add 4 paper pages to create a stapled booklet at a cost of £1 per Order of Service. 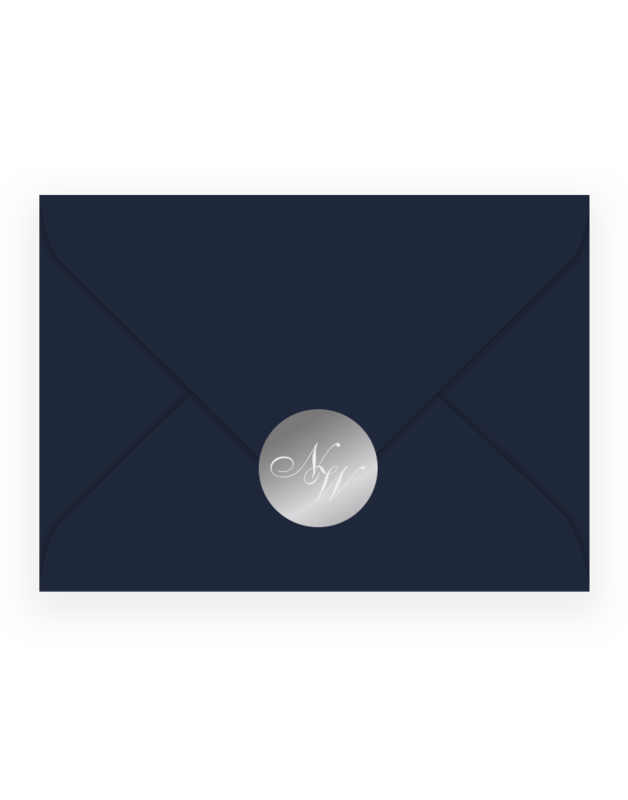 For a personal finishing touch, choose envelopes with a foil monogram printed onto the reverse flap. 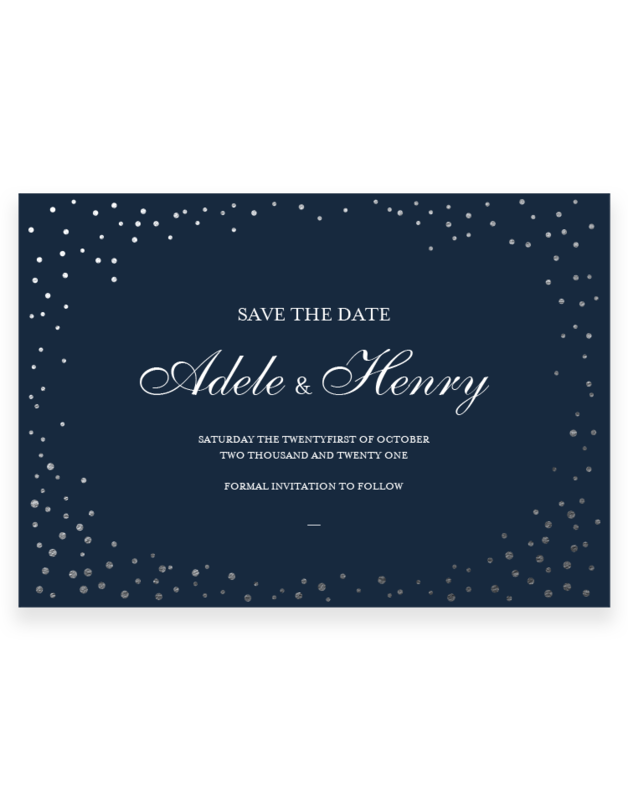 Seal your envelopes with luxury foil wedding stickers. Can also be used to seal wedding favours or cutlery wraps. 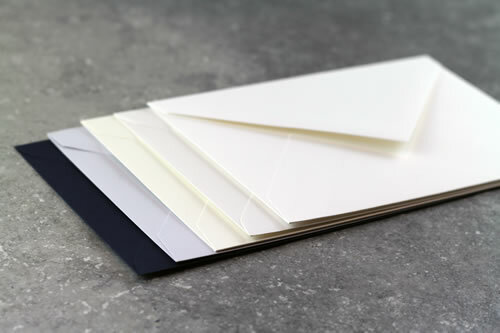 All our envelopes are premium quality with a diamond flap. 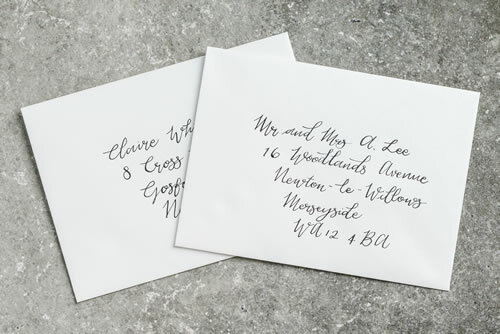 Let us hand address your envelopes with elegant modern calligraphy. 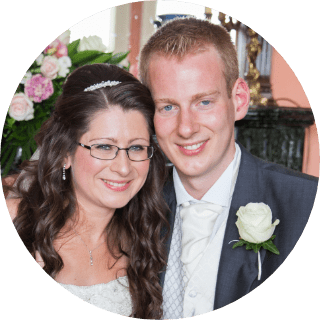 Simply email us an excel or csv file with your guests addresses and we’ll do the rest. 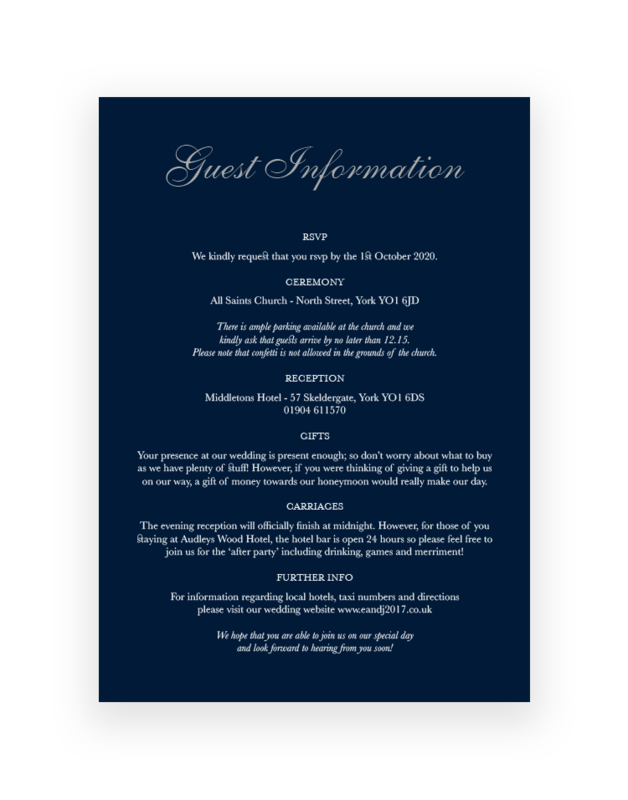 To make it quick and easy for your guests to reply we can supply your RSVP envelopes printed with your address. 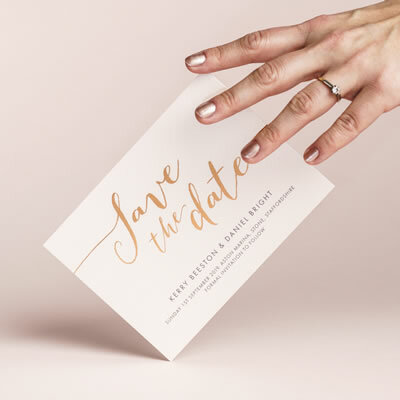 We will use the font from your RSVP cards for a consistent finish. Please note that we cannot take responsibility for any charges that may be incurred due to tax or import duties. If you are in doubt as to what these may be, we suggest contacting your local customs office or checking their website. 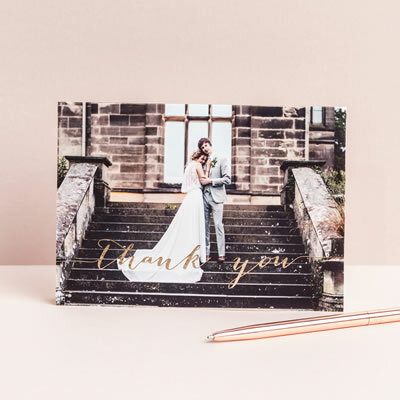 Within 3 working days of receiving your order and wording we will email you a digital proof (screen resolution pdf) of your chosen stationary so you can check you are happy with the design and that all the details are correct before we print it. 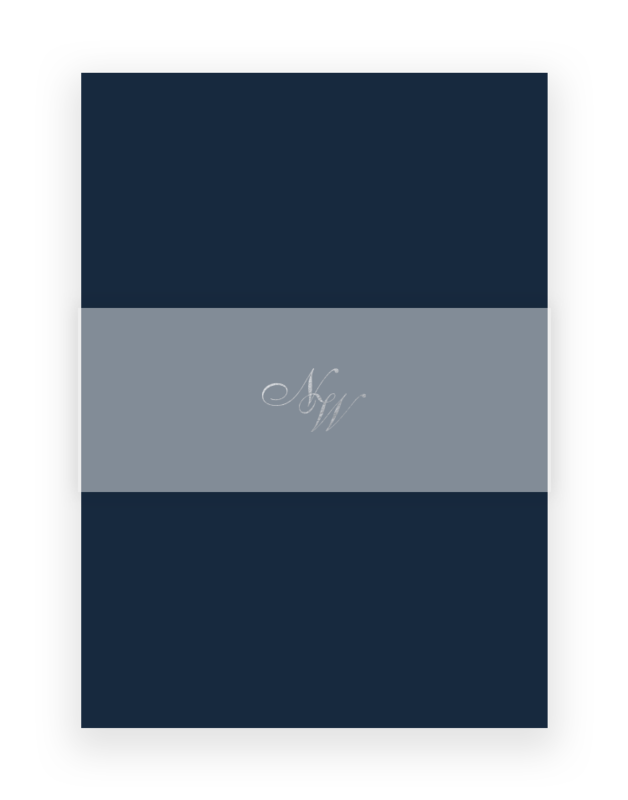 We will then amend the design as necessary until you are happy to give your approval. 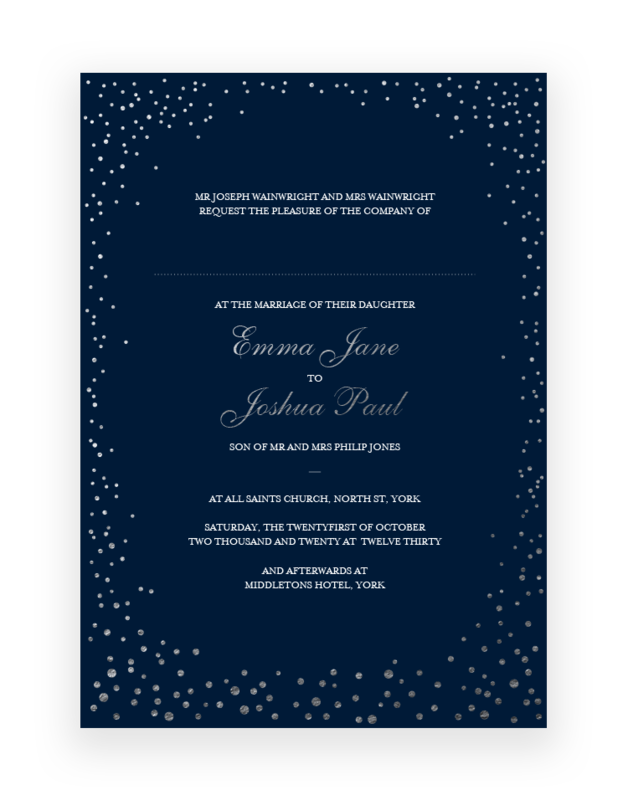 Once you have approved the proof, we aim to print and dispatch your invitations within 10 working days. If your order is time sensitive then please make this clear to us from the beginning so we can let you know if it will be possible to deliver by your deadline. 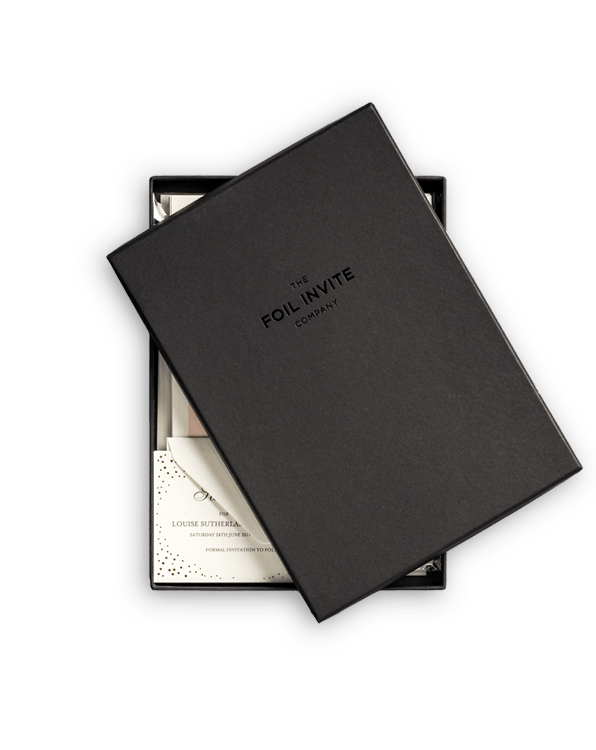 The Foil Invite Company are specialists in Hot Foil Printing, a traditional artisan method of printing where the card is hand stamped with a beautiful metallic finish. This makes our products feel luxurious and extra special. 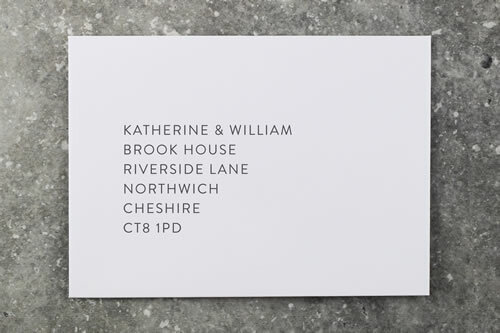 Your stationery will be hand foil printed and packaged by us in our Cheshire studio to ensure every order is perfect. We take pride in delivering premium quality products and service every time. 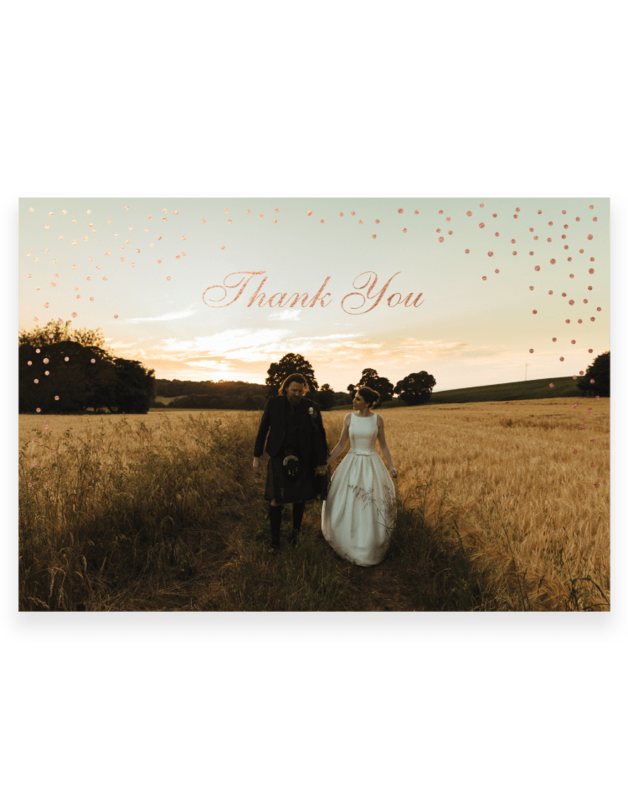 Read our client testimonials or order a sample pack so you can place your order with total confidence. You made a very important task very simple and enjoyable, providing a friendly and helpful service and a quick response to all my questions. © All designs The Foil Invite Co.